The administrative team of Curry Health Network has the duty to assure the quality of patient care and solvency of the business of the Network. The group functions as the executive team, helping to set the strategic plan of the organization while overseeing daily operations. The future of health care in Curry County and the communities themselves are dependent upon this team to forge a new, healthy direction for Curry Health Network. Virginia "Ginny" Razo is Chief Executive Officer of Curry Health Network. Prior to joining CHN, she served as Interim CEO of Tahoe Forest Hospital in Truckee, California - one of the most prestigious critical access hospital systems in the United States with a $188 Million dollar annual gross revenue. She earlier served as Chief Operating Officer and Chief of Ancillary Services at the same organization. Razo holds a Doctor of Science (DSc) in Healthcare Administration from the University of Alabama at Birmingham in Ala., and a Doctor of Pharmacy degree from University of the Pacific in Stockton, Calif. She completed a fellowship program for next generation healthcare CEOs at California Healthcare Leadership College. Carl Gerlach has served as Interim CFO at Curry Health Network since November 2015, and in June, 2016 accepted the CFO position on a permanent basis. He has more than 35 years experience in healthcare management and planning. Carl is a partner with Go-Team Consulting and Healthshare IQ, and previously served in a variety of positions including Finance Director, CFO, Executive Vice President, and CEO of a variety of hospitals and medical centers. Gerlach earned a Bachelor of Arts in Economics from Occidental College, and a Masters degree from the Stanford University Graduate School of Business. 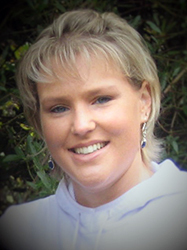 Meghan Brace, RN, BSN joined Curry Health Network in 2005 but has been in the nursing profession since 2000. Prior to that, she began her healthcare career as an EMT. Meghan earned an Associates Degree in Nursing from Umpqua Community College, and a Bachelors of Science in Nursing from Oregon Health & Science University. She has held positions including House Supervisor, Charge RN, Trauma Coordinator and Quality Coordinator. 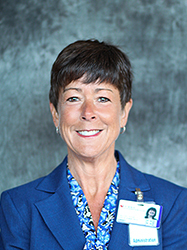 In April 2017, Ms. Brace accepted the position of Chief Nursing Officer in addition to continuing to serve as Quality Coordinator for Curry Health Network, the mother of four children, and the wife of "a great guy". David (Dave) Gilmore joined Curry Health Network as Chief of Ambulatory Services in August 2016, and accepted the position of Chief Operating Officer in May 2017. 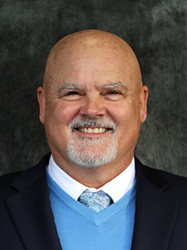 He most recently was Director of Operations at Asante in Grants Pass, and also held the positions of Senior Practice Manager, Medical Home and Quality Improvement Manager and Info Technology Services Manager at Asante. Before his time with Asante, Dave was an ITS Training Manager for Epic, and retired from the United States Air Force. While serving in the military, Dave held several high-level positions including Medical Group Superintendent and Lean Black Belt Facilitator, Chief of Medical Operations, Chief of Health Care Operations and Health Services Manager. He also served as Associate 4A0 CFM for Family Health wherein he was a consultant for 1,000 health services managers. 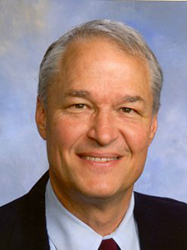 Dave earned a Masters degree in Quality Systems Management with a Healthcare Concentration from the National Graduate School of Quality Management (NGS), a Bachelor of Science degree in Health Care Management from Trident University, and an MAED E-Learning Certificate from Trident University International. 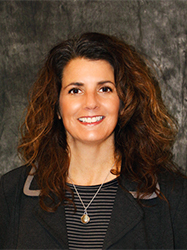 Kristina Martin serves at Chief Information Officer of Curry Health Network, having joined the team in 2015. She brings more than 20 years' experience in Health Information Technology. Martin is certified as a Project Management Professional with the Project Management Institute. She holds a Bachelor of Science in Information Technology and is pursuing a Masters of Science in Healthcare Administration and Interprofessional Leadership. Carolyn McCain joined Curry Health Network as the Human Resource Director in October 2016. 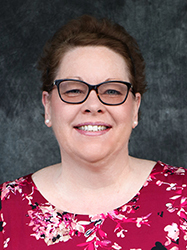 She has been an HR professional since 1998 and has worked in the healthcare arena since 2004, most recently as the Director of Human Resources at a 60-bed post-acute hospital campus located in Northern Colorado. Carolyn has provided HR oversight in several organizations and in her career has supported facilities in 18 different states. She has a Bachelor of Science degree in Business Management from the University of Phoenix and an MBA from Baker Center for Graduate Studies; she is also certified by the Human Resource Certification Institute (HRCI) as a Senior Professional in Human Resources (SPHR) and by the Society for Human Resource Management (SHRM) as a Senior Certified Professional (SCP).